The 2015-2016 academic year at Messiah College is well under way. As a student in Dr. David Pettegrew’s Digital History course, we have read the first few chapters of History in the Digital Age. This compilation of texts by various authors focuses on the advancement of technology and academic resources and their shaping of the research process for historians. Yet, the text also explains the implications of these changes and their effect on the relationship between the past and present. This Digital History course will really engage with these new methods for researching and will include the use of programs such as Zotero and Google Docs. I am looking forward to working with such programs to strengthen my organization and computer skills. I also suspect that because of this experience, the risks and benefits associated with the growth of the digital age will be raised in class discussions. Such discussions will present ideas about how information is shown or obtained and how that affects historical understanding. However, this digital history course will not simply teach the methodology of digital historians by performing random projects that will not truly contribute to the broader online historical community. Rather, I look forward to working on the Digital Harrisburg Project as a part of this course. Another course textbook, City Contented City Discontented by Harrisburg journalist Paul Beers, solidifies this expectation as it discusses specific topics related to Harrisburg. These include the City Beautiful Movement, the old eighth ward, and immigration. 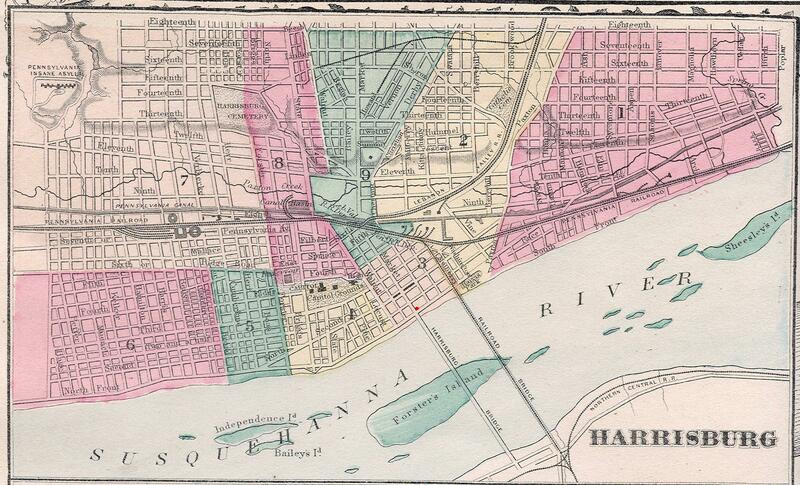 An analysis of the 1900, 1910, 1920, and 1930 Harrisburg census data that has been digitized by previous students will help establish this connection between digital history and Digital Harrisburg. However, entering metadata in to sites like Omeka and researching certain topics related to early 20th century Harrisburg will comprise a significant part of the course. Moreover, the blogging aspect of the dynamic Digital Harrisburg website establishes another medium by which digital history and Harrisburg intersect. The public can gain understanding of issues pertaining to Harrisburg in the early 20th century while students gain an understanding of the digital methods of blogging. I do already have some experience with digital methods. I am currently the work study for the Ernest L. Boyer Center Archives at Messiah College. For this position, I digitize photographs and enter metadata that relates to them into museum software, which is then used to create an online catalog of the items in the collection. I also frequently write blog posts for the archives. However, I do not believe that these tasks have given me adequate knowledge to adapt digital methodology into my research practices. I am excited for what I will learn and accomplish in this digital history course because of this lack of knowledge and my many expectations. ← WordPress, Zotero, and Harrisburg – Oh My!